Slavery in America started in 1619, when a Dutch ship brought 20 African slaves ashore in the British colony of Jamestown, Virginia. Throughout the 17th century, European settlers in North America turned to African slaves as a cheaper, more plentiful labor source than indentured servants, who were mostly poor Europeans. Though it is impossible to give accurate figures, some historians have estimated that 6 to 7 million black slaves were imported to the New World during the 18th century alone, depriving the African continent of some of its healthiest and ablest men and women. In the 17th and 18th centuries, black slaves worked mainly on the tobacco, rice and indigo plantations of the southern coast, from the Chesapeake Bay colonies of Maryland and Virginia south to Georgia. After the American Revolution, many colonists—particularly in the North, where slavery was relatively unimportant to the agricultural economy—began to link the oppression of black slaves to their own oppression by the British, and to call for slavery’s abolition. Did you know? One of the first martyrs to the cause of American patriotism was Crispus Attucks, a former slave who was killed by British soldiers during the Boston Massacre of 1770. Some 5,000 black soldiers and sailors fought on the American side during the Revolutionary War. 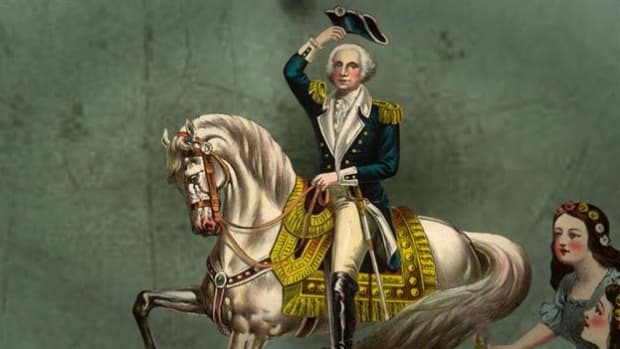 But after the Revolutionary War, the new U.S. Constitution tacitly acknowledged the institution of slavery, counting each slave as three-fifths of a person for the purposes of taxation and representation in Congress and guaranteeing the right to repossess any “person held to service or labor” (an obvious euphemism for slavery). In the late 18th century, with the land used to grow tobacco nearly exhausted, the South faced an economic crisis, and the continued growth of slavery in America seemed in doubt. Around the same time, the mechanization of the textile industry in England led to a huge demand for American cotton, a southern crop whose production was unfortunately limited by the difficulty of removing the seeds from raw cotton fibers by hand. But in 1793, a young Yankee schoolteacher named Eli Whitney invented the cotton gin, a simple mechanized device that efficiently removed the seeds. His device was widely copied, and within a few years the South would transition from the large-scale production of tobacco to that of cotton, a switch that reinforced the region’s dependence on slave labor. 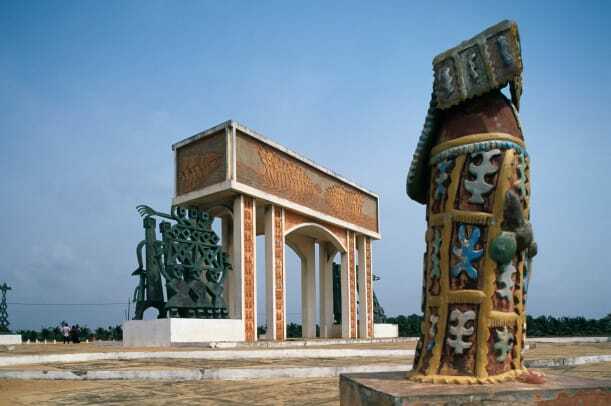 Slavery itself was never widespread in the North, though many of the region’s businessmen grew rich on the slave trade and investments in southern plantations. Between 1774 and 1804, all of the northern states abolished slavery, but the so-called “peculiar institution” of slavery remained absolutely vital to the South. Though the U.S. Congress outlawed the African slave trade in 1808, the domestic trade flourished, and the slave population in the U.S. nearly tripled over the next 50 years. By 1860 it had reached nearly 4 million, with more than half living in the cotton-producing states of the South. Slaves in the antebellum South constituted about one-third of the southern population. 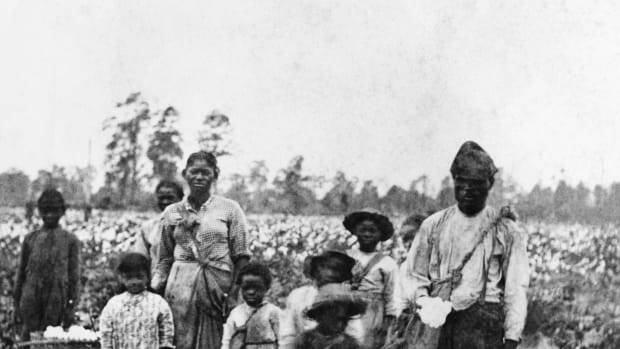 Most slaves lived on large plantations or small farms; many masters owned fewer than 50 slaves. Many masters took sexual liberties with slave women, and rewarded obedient slave behavior with favors, while rebellious slaves were brutally punished. A strict hierarchy among slaves (from privileged house slaves and skilled artisans down to lowly field hands) helped keep them divided and less likely to organize against their masters. Slave marriages had no legal basis, but slaves did marry and raise large families; most slave owners encouraged this practice, but nonetheless did not usually hesitate to divide slave families by sale or removal. Slave rebellions did occur within the system—notably ones led by Gabriel Prosser in Richmond in 1800 and by Denmark Vesey in Charleston in 1822—but few were successful. The slave revolt that most terrified white slaveholders was that led by Nat Turner in Southampton County, Virginia, in August 1831. 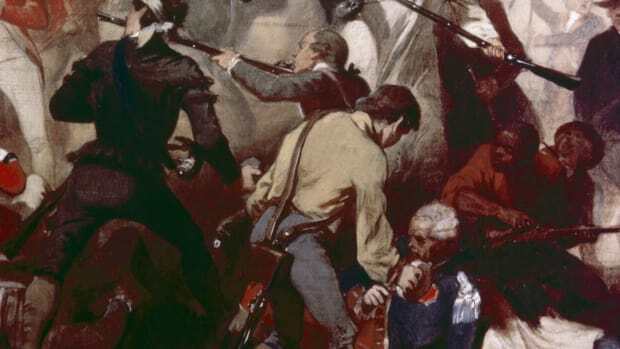 Turner’s group, which eventually numbered around 75 blacks, murdered some 60 whites in two days before armed resistance from local whites and the arrival of state militia forces overwhelmed them. Supporters of slavery pointed to Turner’s rebellion as evidence that blacks were inherently inferior barbarians requiring an institution such as slavery to discipline them, and fears of similar insurrections led many southern states to further strengthen their slave codes in order to limit the education, movement and assembly of slaves. In the North, the increased repression of southern blacks only fanned the flames of the growing abolitionist movement. From the 1830s to the 1860s, the movement to abolish slavery in America gained strength, led by free blacks such as Frederick Douglass and white supporters such as William Lloyd Garrison, founder of the radical newspaper The Liberator, and Harriet Beecher Stowe, who published the bestselling antislavery novel Uncle Tom’s Cabin. While many abolitionists based their activism on the belief that slaveholding was a sin, others were more inclined to the non-religious “free-labor” argument, which held that slaveholding was regressive, inefficient and made little economic sense. 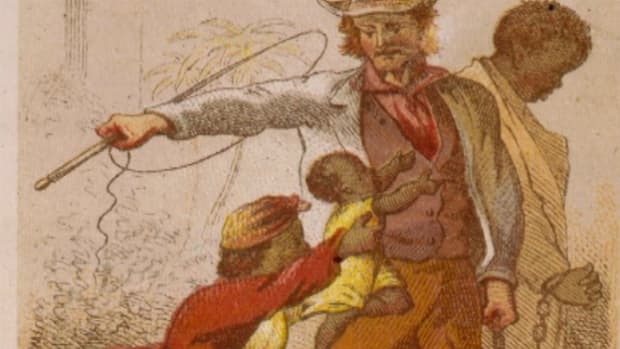 The success of the Underground Railroad helped spread abolitionist feelings in the North; it also undoubtedly increased sectional tensions, convincing pro-slavery southerners of their northern countrymen’s determination to defeat the institution that sustained them. 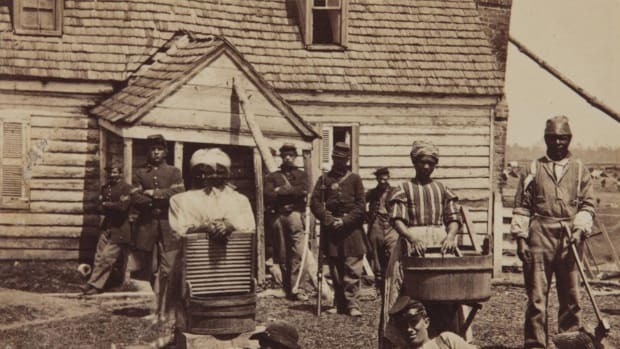 America’s explosive growth—and its expansion westward in the first half of the 19th century—would provide a larger stage for the growing conflict over slavery in America and its future limitation or expansion. 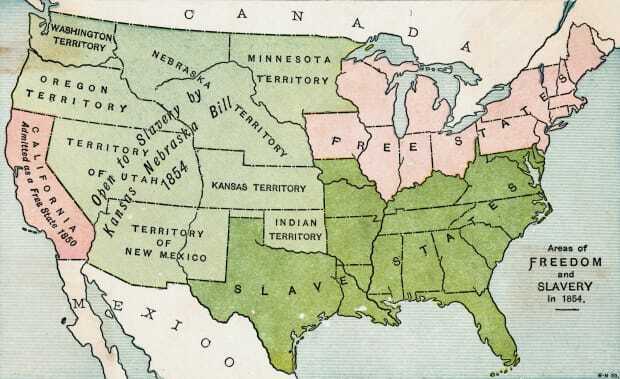 In 1820, a bitter debate over the federal government’s right to restrict slavery over Missouri’s application for statehood ended in a compromise: Missouri was admitted to the Union as a slave state, Maine as a free state and all western territories north of Missouri’s southern border were to be free soil. In 1850, another tenuous compromise was negotiated to resolve the question of slavery in territories won during the Mexican-American War. Four years later, however, the Kansas-Nebraska Act opened all new territories to slavery by asserting the rule of popular sovereignty over congressional edict, leading pro- and anti-slavery forces to battle it out—with considerable bloodshed—in the new state of Kansas. Outrage in the North over the Kansas-Nebraska Act spelled the downfall of the old Whig Party and the birth of a new, all-northern Republican Party. 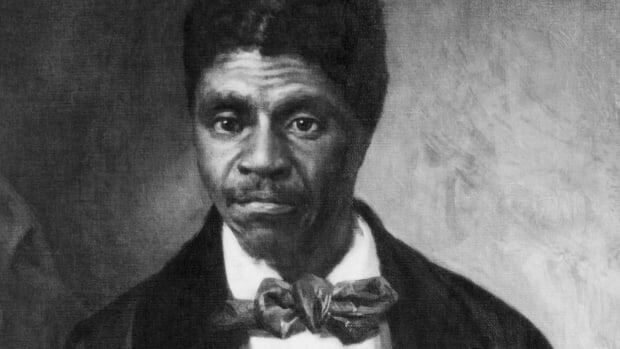 In 1857, the Dred Scott decision by the Supreme Court (involving a slave who sued for his freedom on the grounds that his master had taken him into free territory) effectively repealed the Missouri Compromise by ruling that all territories were open to slavery. In 1859, two years after the Dred Scott decision, an event occurred that would ignite passions nationwide over the issue of slavery. John Brown’s raid on Harper’s Ferry, Virginia—in which the abolitionist and 22 men, including five black men and three of Brown’s sons raided and occupied a federal arsenal—resulted in the deaths of 10 people and Brown’s hanging. The South would reach the breaking point the following year, when Republican candidate Abraham Lincoln was elected as president. 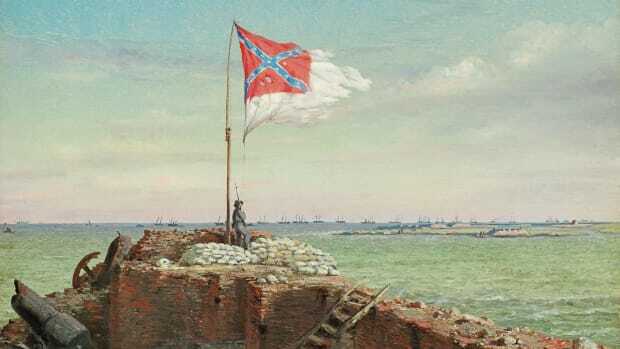 Within three months, seven southern states had seceded to form the Confederate States of America; four more would follow after the Civil War began. Though Lincoln’s anti-slavery views were well established, the central Union war aim at first was not to abolish slavery, but to preserve the United States as a nation. Abolition became a goal only later, due to military necessity, growing anti-slavery sentiment in the North and the self-emancipation of many African Americans who fled enslavement as Union troops swept through the South. By freeing some 3 million black slaves in the rebel states, the Emancipation Proclamation deprived the Confederacy of the bulk of its labor forces and put international public opinion strongly on the Union side. Though the Emancipation Proclamation didn’t officially end all slavery in America—that would happen with the passage of the 13th Amendment after the Civil War’s end in 1865—some 186,000 black soldiers would join the Union Army, and about 38,000 lost their lives. Former slaves received the rights of citizenship and the “equal protection” of the Constitution in the 14th Amendment and the right to vote in the 15th Amendment, but these provisions of Constitution were often ignored or violated, and it was difficult for former slaves to gain a foothold in the post-war economy thanks to restrictive black codes and regressive contractual arrangements such as sharecropping. Despite seeing an unprecedented degree of black participation in American political life, Reconstruction was ultimately frustrating for African Americans, and the rebirth of white supremacy—including the rise of racist organizations such as the Ku Klux Klan (KKK)—had triumphed in the South by 1877. 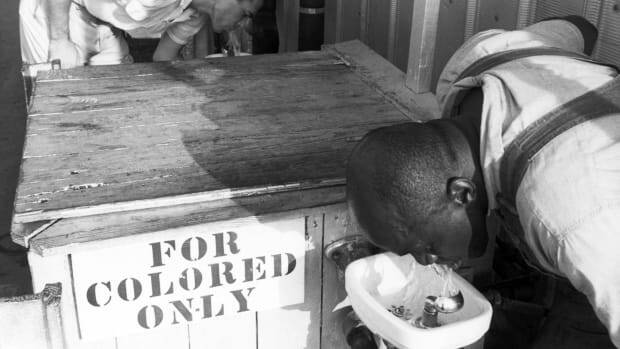 Almost a century later, resistance to the lingering racism and discrimination in America that began during the slavery era would lead to the civil rights movement of the 1960s, which would achieve the greatest political and social gains for blacks since Reconstruction.